Online job boards have been around for decades, but the technology behind them has remained relatively unchanged. Type a keyword into a search box, give your ZIP code, then scan through the heaps of job listings one by one, hoping you find a good fit. Isn’t it time for a smarter way to job hunt? 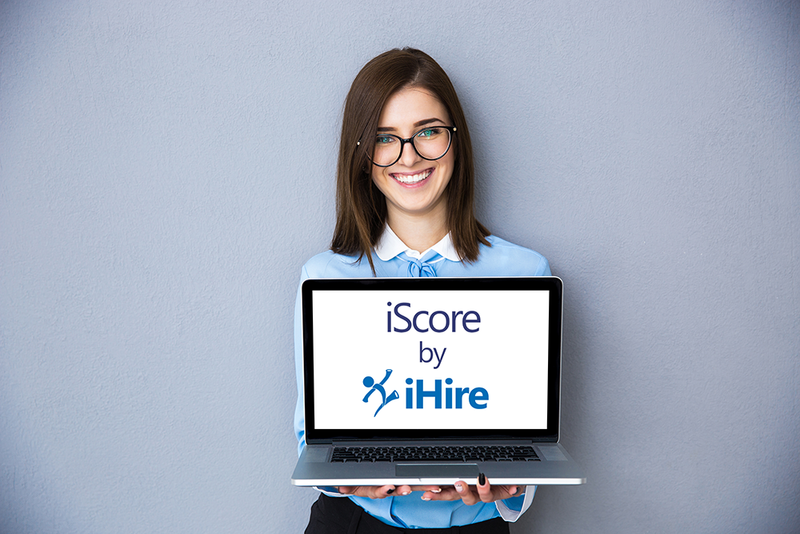 iHire has created a unique and powerful technology we call iScore that will change the way you think about job searching. The concept of iScore is simple: it’s a tool that can compare your uploaded resume directly to the requirements of each job listing to find out if you’re a good fit for the job. iScore compares the keywords and skills listed in your resume with the keywords within the job listing and a score is determined. If the score is high, you can go ahead and apply for the job knowing that you’ll be a great candidate for the position. If the score is lower, you can use the tool to improve the keywords in your resume and increase your chances of getting an interview. It’s the smartest and most effective way to approach your job hunt. Ever heard of Applicant Tracking Systems (ATS)? iScore is essentially an ATS built for the job seeker rather than the employer. It can give you the same technology to find the right position that employers use to find the right candidate. Our Premium members have unlimited access to iScore. 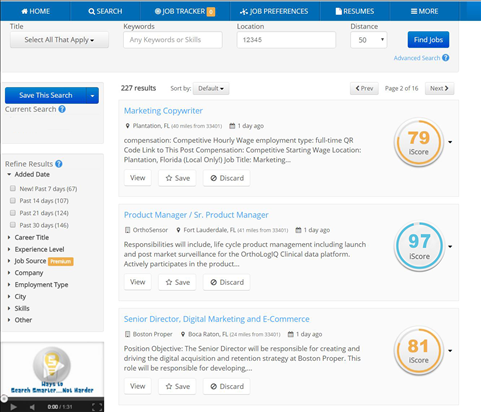 The tool is shown to the right of each job listing on the search page. If you click on the iScore icon next to each listing, you’ll be able to see a comprehensive breakdown of all of the listed skills found in that job post. iScore ranks skills by importance and shows you the matching skills that are recognized in your resume along with the employer’s desired skills that are missing from your resume. We’ve organized the skill types into four categories: technical, tasks, knowledge bases, and soft skills. If you click on one of these tabs, you’ll see a breakdown of that specific category. From here, you have two options to use the insights from iScore to optimize your resume. You can make changes to your resume yourself to include the exact keywords from your iScore. Or, if you’re a Premium member and used our Portfolio resume builder to create your resume, you can instantly pull the missing skills listed in iScore directly into your resume! My iScore is low for a job I want to apply for. What should I do? Click on the iScore icon to get a more detailed view of all of the skills your resume is lacking for that particular job posting. If you feel that you do have some of the skills mentioned in the job posting but you’ve used different wording on your resume for these skills, we would recommend you alter your resume to include the exact keywords found in your iScore. Your resume will then align more closely with the job and you should receive a higher iScore. If the employer is utilizing an ATS, by altering your resume to include the exact keywords found in iScore, you’ll increase your chances of getting an interview. Why do some job listings have an “N/A” shown in place of the iScore calculation? Some companies who post with iHire keep their job listings very short. If a job description does not contain enough information regarding the position's requirements for an accurate iScore to be calculated, you will see “N/A” instead. I have multiple resumes on the site. Which one is iHire using to calculate the iScore? If you create an account and upload multiple resumes, iScore will use your first uploaded resume by default. If you have multiple resumes on file and ever want to change the one that that iScore uses, simply click on the iScore icon next to a job listing on the search page and you’ll be presented with a list of your resumes. You can then decide which one you’d like to use for iScore. This will then become your default resume for iScore. Why can’t I sort my job search results based on iScore? In order to obtain the most accurate results, iScore needs to analyze each job listing individually. It takes time for iScore to process all of the calculations needed for each job on the search page and it is simply not feasible to sort the large amount of total job results during a search. I don’t agree with one of the iScore calculations, what can I do? If you have the required skills and qualifications but our tool doesn't recognize them, it's likely because the verbiage isn't an exact match. By adding in the exact keywords and phrases iScore lists for you, your resume will align more closely with the job and you should receive a higher score. If you still think iScore is not giving an accurate calculation, please let us know by using the “Feedback” button on the bottom left of the iScore detail page. I’m not a Premium member, how can I try iScore? No problem! All basic members can try iScore for one job listing. We call it the iScore Test Drive. As a basic member, you’ll see an icon with a question mark to the right of all of the job listings on your search page. If you click on it, you’ll be able to see your iScore for that job listing. Don’t forget — you can only test drive iScore once as a basic member. Job hunting doesn’t have to be a long tedious process. Stand out from the crowd and take control of your job search by utilizing the power of iScore today!